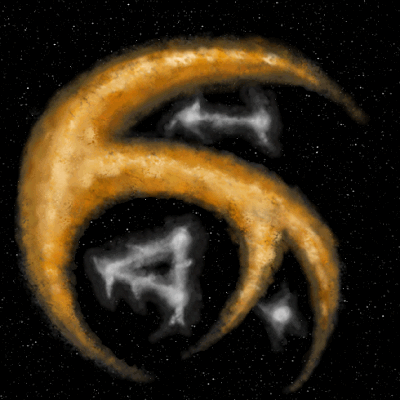 This image is a galaxy I designed for an (Space Empires IV) SE4 Mod that never got off the ground. I found it on a CD not long ago, from way back in 2001. I remember painting it using Paint Shop Pro, just using simple paint brushes and layers. Usually I get a soft round paint brush, set the opacity to around 40% and start building up the different parts of the image. I made the brush smaller and more opaque as I needed to add more and more details. This thing looked amazing when I first made it, I was dead proud. A bit like the first time you paint a sun (big yellow blob) and clouds (big grey blob) and some grass (greeny stripey blob) on a bit of paper, like when your 5 years old?